The order Rodentia has a worldwide distribution, and species within this order can be found in every habitat ranging from Arctic tundra to desert. Nearly 70% of all rodent species are rats and mice of the family Muridae, and representatives of this family are found on all continents as well as Australia and oceanic islands. The house mouse (Mus mus-culus) and the black rat (Rattus rattus), two species that live in close association with humans, are cosmopolitan and have been transported to all areas frequented by humans. Squirrels of the family Sciuridae have a worldwide distribution except for Australia, the desert region of Africa, and the southernmost region of South America. The mountain beaver, a relative of squirrels, is more restricted in distribution, being confined to the Pacific Northwest of the United States. The two living species of beaver occur either in North America or parts of Europe and Asia. 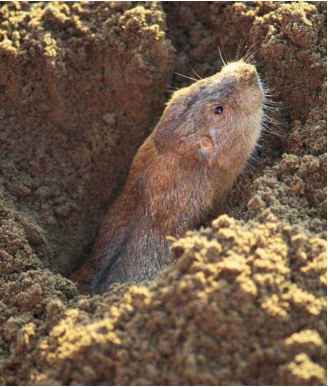 Pocket gophers are restricted to North and Central America, and members of the family Heteromyidae (kangaroo rats and pocket gophers) occur in North and Central America as well as the northern portion of South America. Scaly-tailed squirrels (Anomalurus), African mole-rats (family Bathyergidae), and springhares (Pedetes capensis) occur in parts of sub-Saharan Africa. 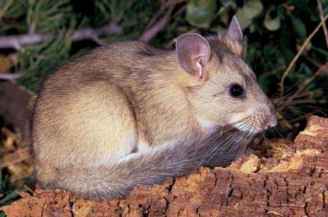 Members of the family Dipodidae occur in portions of the Middle East and northern Africa, and jumping mice of the family Zapodidae occur in both North America and parts of Europe and Asia. Several families of caviomorph rodents originated in South America, and many are restricted to the southern half of South America. At least one family, Capromyidae, is restricted to islands in the Caribbean, and the North American porcupine (Erethizon dorsatum) is the only caviomorph with a range extending throughout most of North America. The nutria (family Myocastoridae) also occurs in North America, but it is the consequence of an introduction by humans.